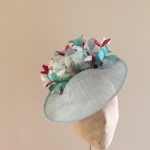 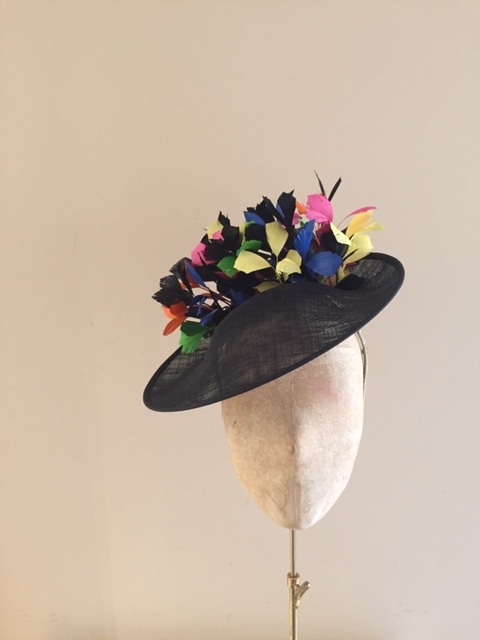 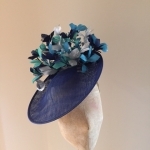 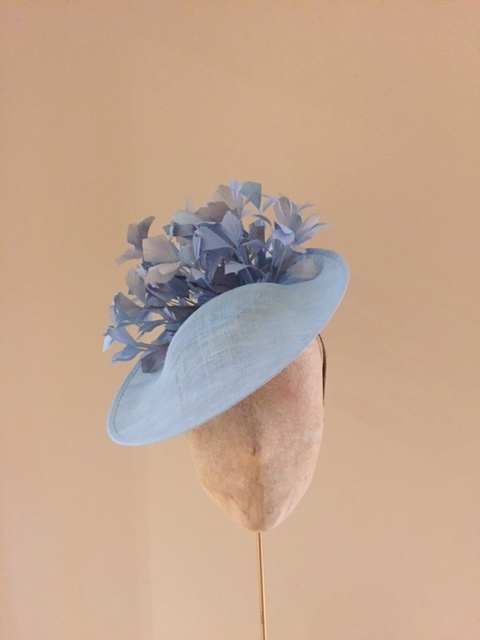 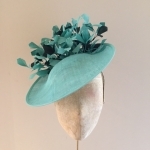 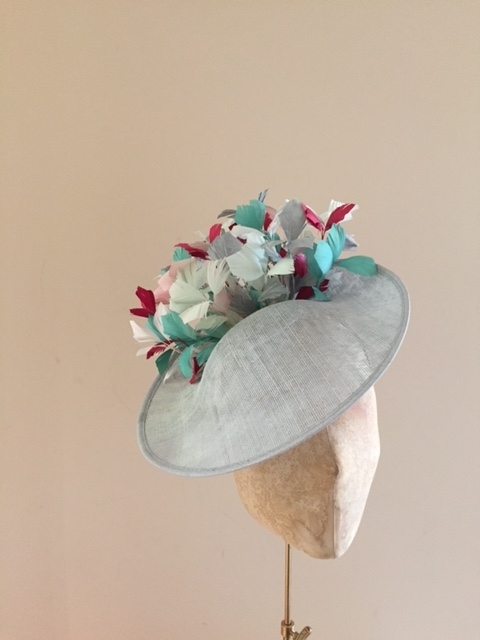 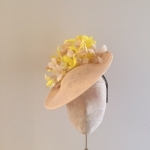 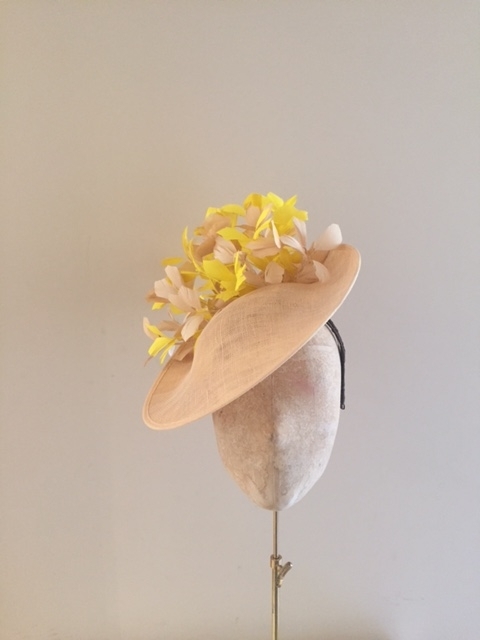 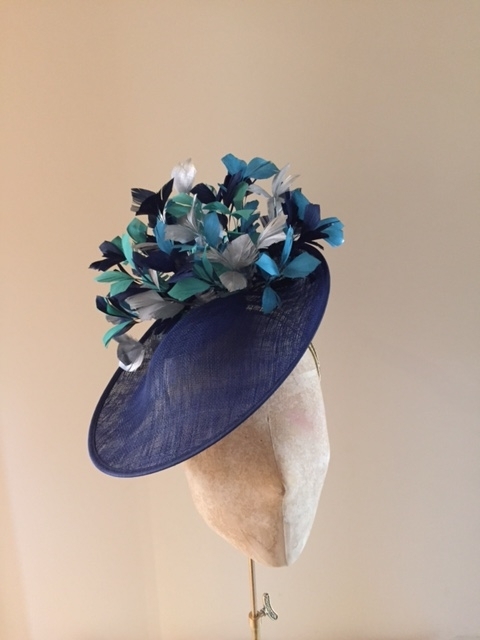 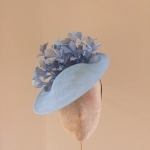 The Lombard dish hat is the perfect wedding or race hat. 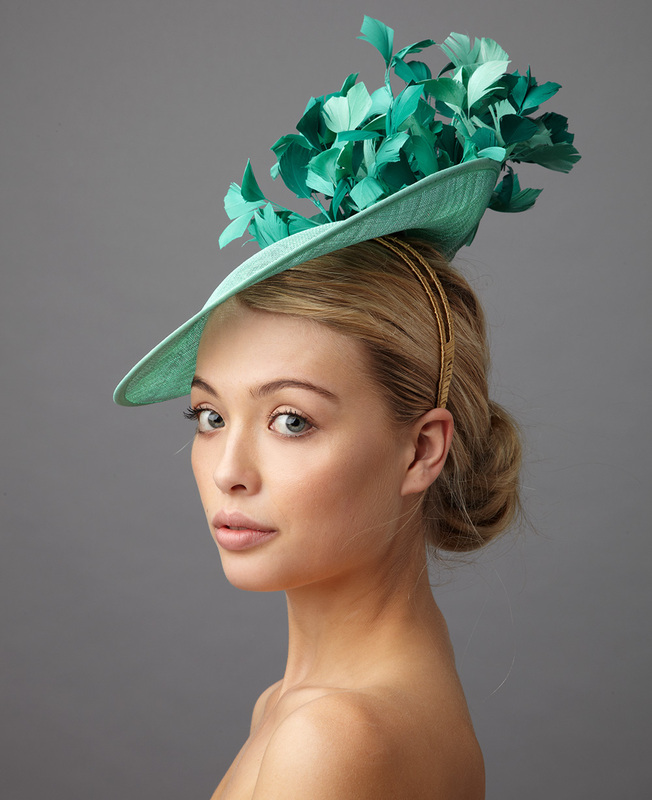 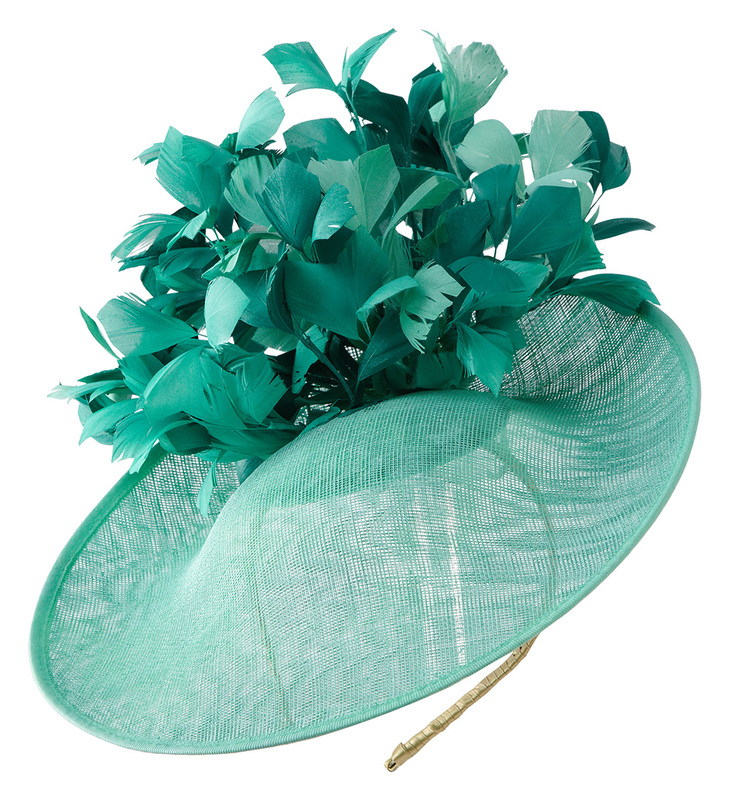 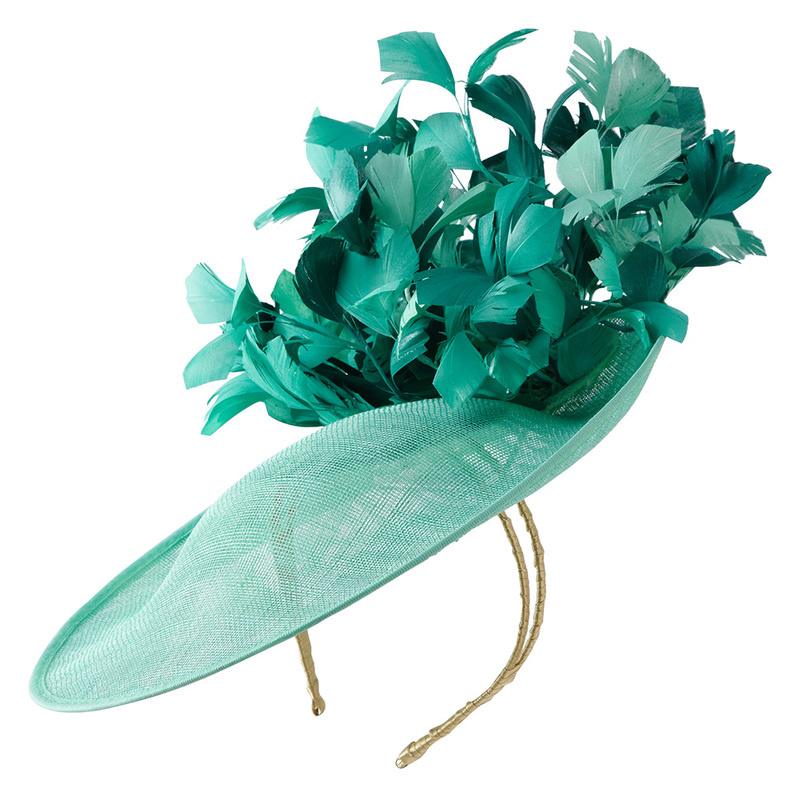 The Lombard dish hat comprises of a sinamay dish with upturned back. 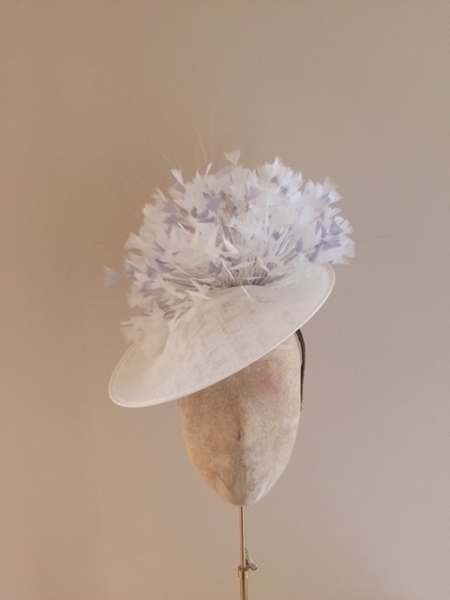 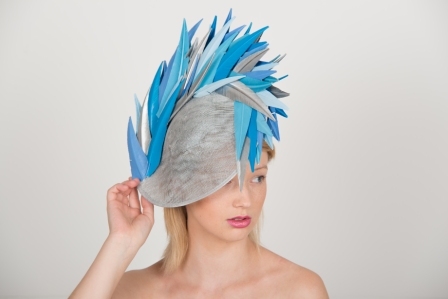 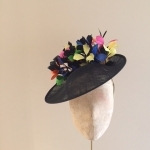 It is trimmed with cut coque feathers in up to 3 different colours. 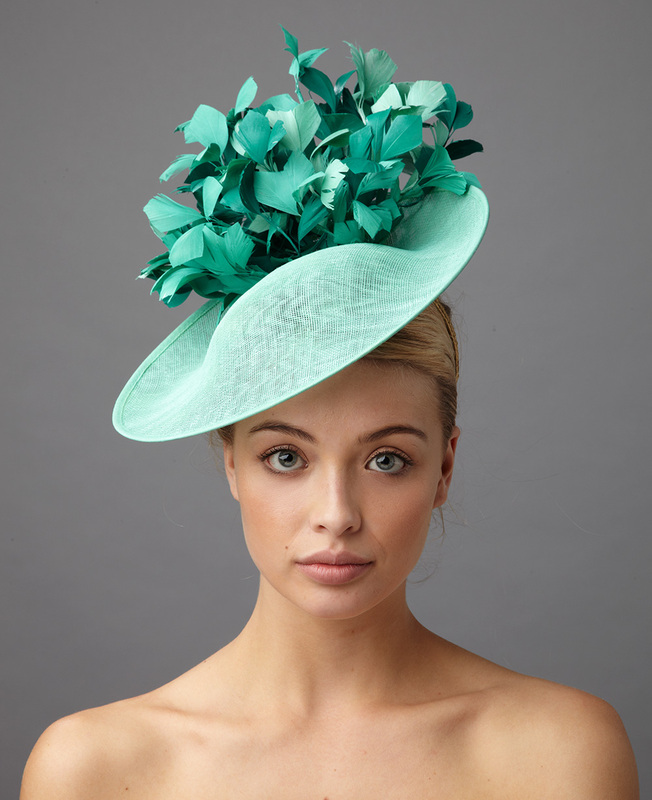 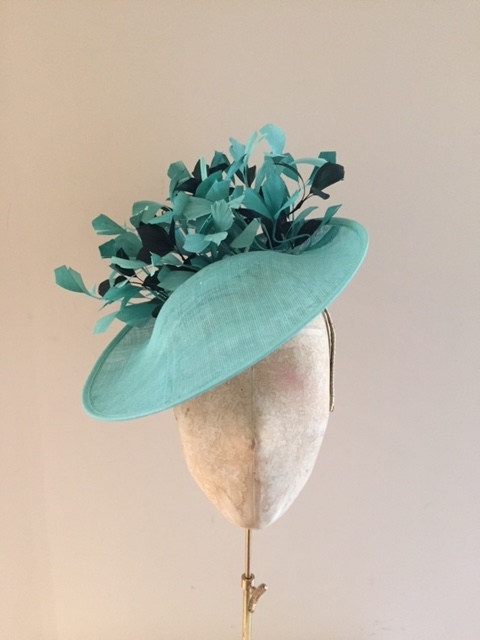 Therefore it is the perfect hat for colour matching to an outfit. 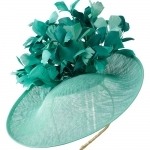 This dish hat comes on a headband which we can blend to your hair colour.